Medium: HD video with Sound, 2 minutes 48 seconds. Tango for Page Turning is a film fragment made for the theatre piece Refuse the Hour (2012-13). 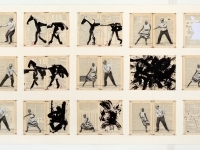 This and its companion piece, the 5-channel video installation The Refusal of Time, arose in part out of a series of conversations between South African artist William Kentridge and American historian of science Peter Galison on matters including the history of the control of world time, relativity, black holes, and string theory. Music for both projects was created by Philip Miller. 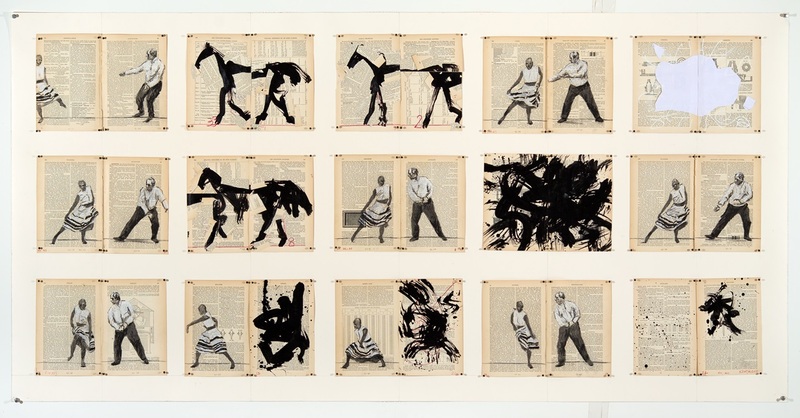 Translating his distinctive charcoal drawings into hand-made animated films that show signs of erasure and reworking, South African artist William Kentridge crafts allegorical, gestural narratives that may be read as specific to the political and social realities of South Africa, at the same time that they function as powerful observations of the human condition. He is one of the most famous artists in the world, and has exhibited at the Museum of Modern Art in New York and San Francisco, two Documentas and three Venice Biennales.